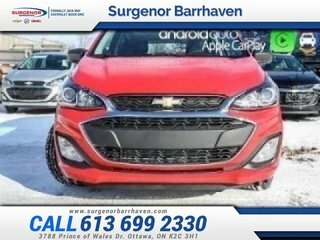 This red hot hatchback has an automatic transmission and is powered by a 1.4L I4 16V MPFI DOHC engine. 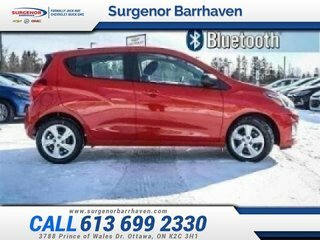 With that spritely motor it gets 7.9 L/100 km in the city and uses just 6.2 L/100 km out on the highway according to Transport Canada. 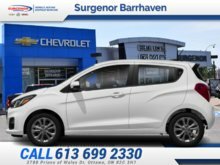 Our Spark's trim level is LS. 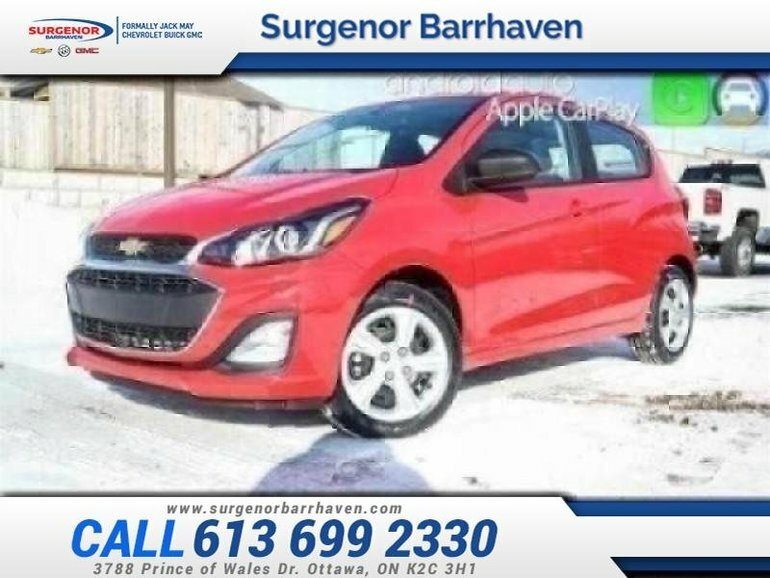 This Chevy Spark was built for affordability without sacrificing modern technology with features like 4G WiFi, folding rear bench seat, Chevrolet Connected Access capable, 7 inch touchscreen, Apple CarPlay and Android Auto compatibility, Bluetooth, voice commands, USB data ports, Driver Information Centre, outside temperature display, rear view camera, and hill start assist. 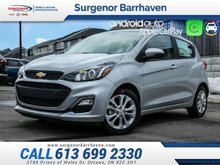 This vehicle has been upgraded with the following features: Rear View Camera, Bluetooth, Android Auto, Apple Carplay, Onstar. 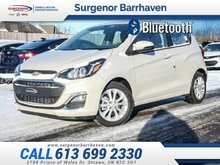 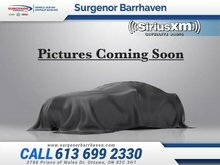 Interested in the 2019 Chevrolet Spark LS - Bluetooth - Android Auto - $110.78 B/W ?